I walked the 20 or so minutes from my flat in Sydenham to the Waitrose in Beckenham. I rarely went to Beckenham since there was a Sainsbury’s a few blocks from my house, but Waitrose was superior in my mind and had far more food options that were as close to American food as I could get. I walked up to the customer service desk and spoke to the first person I made eye contact. I was returning three containers of pancake mix. They say food is the way to a man’s heart. I am not a great cook, but I am American. As such, I had something over these English birds – I can make fluffy pancakes. Not the flimsy crepes the English pass off as pancakes, but thick and fluffy pancakes. I promised Martin, from the day we met, that I would make him some of my fluffy pancakes. I was certain I could impress him with my pancakes. Everyone else loved them. In England, however, pancakes are not spur-of-the-moment food since the ingredients were hard to find. 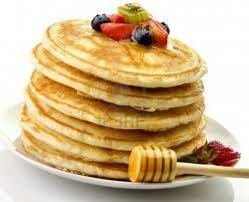 Although I ate pancakes any time of the day, the best time, in my opinion, was the morning. But each time I stayed with Martin, the opportunity never presented itself to make pancakes. He only invited me over during the week when lay-ins and eating breakfast was impossible. Finally, a weekend presented itself for pancake making. Promises of getting together turned into an absence of calls or messages from Martin. I had all my ingredients on standby – just in case. I waited and waited…no Martin and no pancakes. The thought of not making pancakes sent me in a state of disarray. Deep down inside I knew that no pancakes meant no Martin. When the weekend expired and I could no longer mourn for Martin or the pancakes, I willed myself out of bed, collected my goods, and headed to Waitrose.